We want to add convenience into your chess playing! 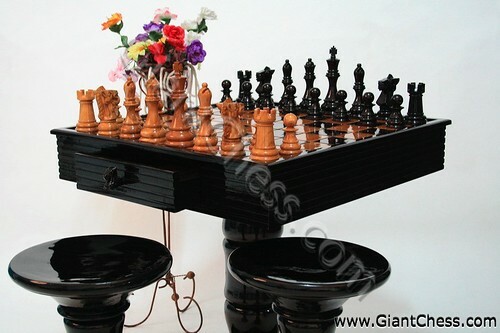 To complete the chess table, we provide also the stool. It is made of teak and polish in black color. Our teak stool is comfortable and strong to uphold your body. This teak stool is also nice to used as indoor and outdoor furniture because adopts the shape and style of bar stool.